A new funding programme of the FNR facilitates the creation of a national clinical research centre with a direct impact for patients with Parkinson’s disease. In 2015, the FNR launched the National Centre of Excellence in Research on Parkinson’s disease (NCER-PD). The aim of this new 8-year programme, which involves all national actors in biomedical research, is to identify new methods for the early diagnosis of Parkinson’s disease (PD) and the stratification of patients in sub-groups. One key element of the programme is a national long-term clinical PD study, which already started in 2015. PD is the second most common neurodegenerative disease of the brain and it is likely that an increased number of people will suffer from it in the coming years due to the ageing of the population. A major problem with PD is that it is usually diagnosed when the disease has already progressed significantly. If there were methods for an earlier detection, doctors could treat patients with protective therapies and thereby increase the patients’ quality of life. Why people become ill, and whether the disease will progress fast or slowly, is also difficult to predict. 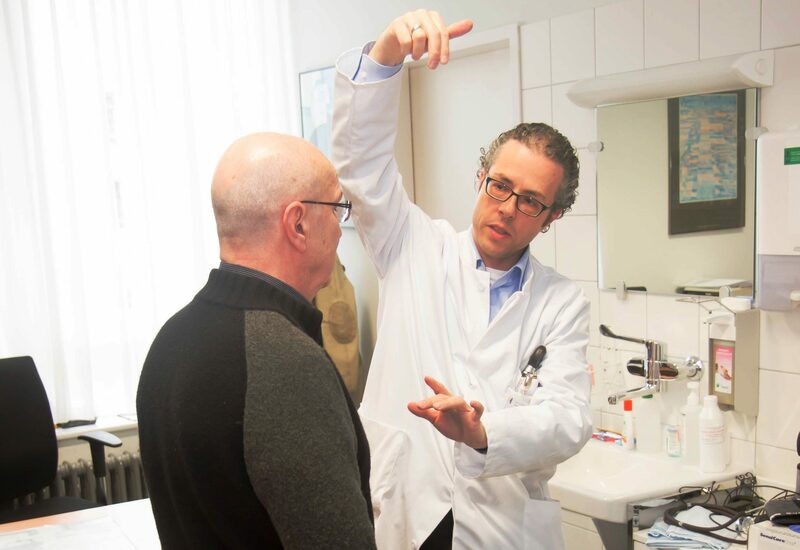 In order to understand this better, the NCER-PD conducts a long-term clinical study with PD patients from Luxembourg and neighbouring countries as well as healthy control subjects. The study compares results from clinical tests and specific laboratory measurements (i.e. metabolic products or genetic information) from patients and healthy controls. This may lead to the identification of new methods for the diagnosis and stratification of the disease. Another project carried out in collaboration with partners in the USA foresees the creation of a central computing platform for the analysis of genetic data from international PD studies. In light of the investments and developments in the field of personalised medicine, the FNR has identified the early diagnosis of PD with the help of systems biological tools as an attractive topic for a first NCER. The national partners are the University of Luxembourg with the Luxembourg Centre for Systems Biomedicine (LCSB), the Institute IBBL (Integrated BioBank of Luxembourg), the Luxembourg Institute of Health (LIH), and the Centre Hospitalier de Luxembourg (CHL). Their common goal is to continue to integrate research into the national health system and to establish Luxembourg as an excellence centre in research on PD beyond the country’s borders. International partners are the Oxford Parkinson’s Disease Centre, the Hertie-Institut für klinische Hirnforschung in Tübingen, the Paracelsus-Elena-Klinik in Kassel and the National Institutes of Health in the USA. For Prof. Dr Rudi Balling, Director of the LCSB and coordinator of the Parkinson-NCER consortium, the programme is also an international recognition of the local research community. In particular the close collaboration between doctors, biologists and computer scientists was highlighted as unique by the panel of international experts that examined the programme proposal. The funding allocated by the FNR for the programme is 8 MEUR for a first phase of 4 years; the total budget estimated for the 8-year programme amounts to 20 MEUR.